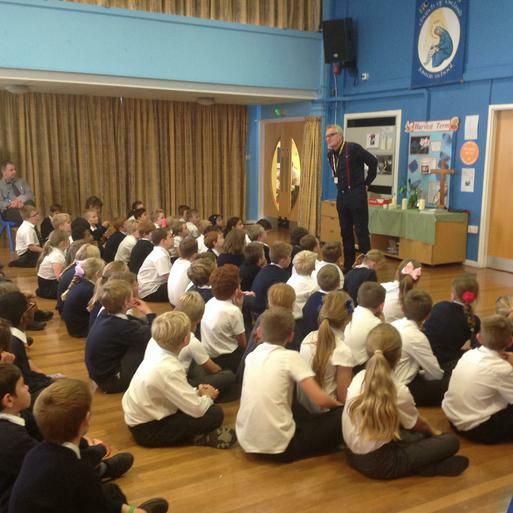 The whole school were treated to the amazingly talented author Jeremy Strong. 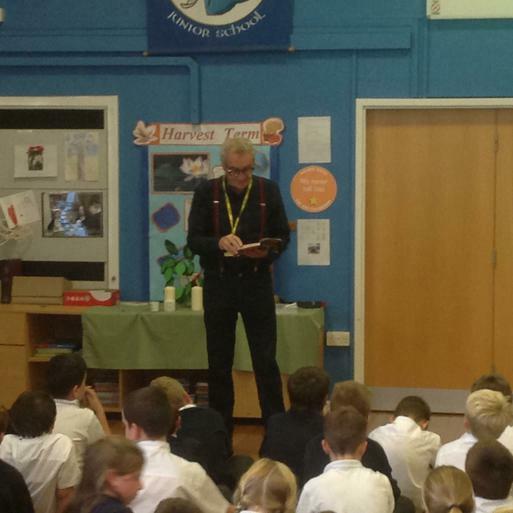 Pupils were fascinated by the stories he shared with them and his brilliant techniques for writing. 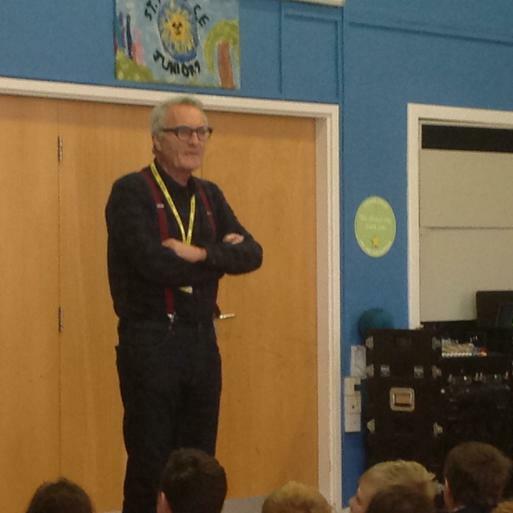 Violet says "Jeremy Strong shared with us how he needs a quiet place to write so he converted his shed into a working place, his wife calls it a studio where as Jeremy still calls it his shed!" 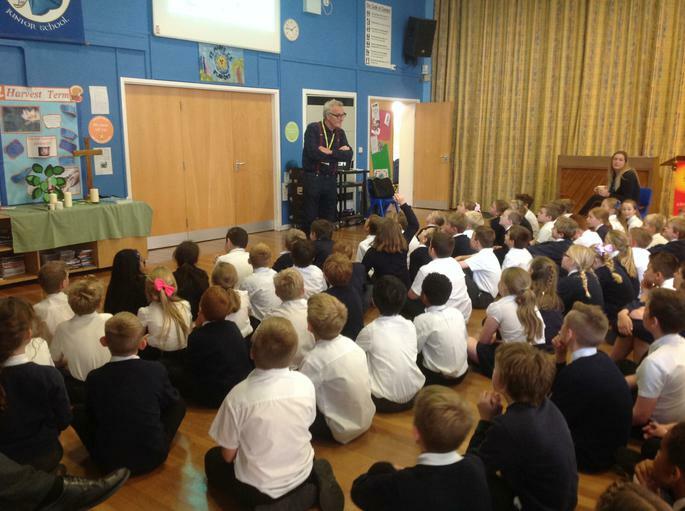 Lottie "Jeremy explained how he writes a lot of copies and re-reads them aloud to find any better words."